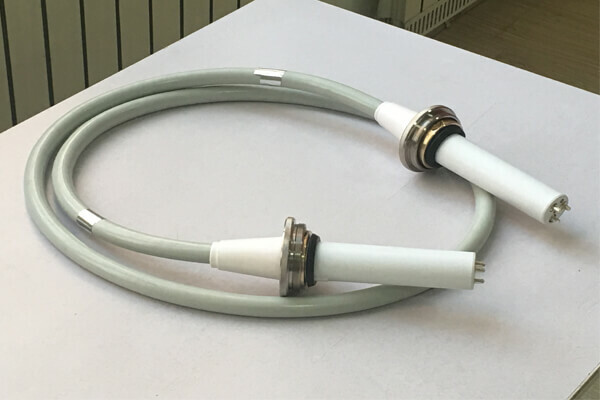 90KV high-voltage cable is a filament that delivers the high-voltage output from the high-voltage generator to the poles of the X-ray tube and sends the heating voltage of the filament to the X-ray tube. Prevent excessive bending when using 90KV high voltage cable. The bending radius shall not be less than 5-8 times of cable diameter to avoid cracks and reduce the insulation strength. Keep 90KV high voltage cable dry and clean, avoid the erosion of oil, moisture and harmful gas, do not have any dirt, prevent the cable from damp and mildew, and avoid rubber aging.For this, we can provide PVC cover, which can wrap the high-voltage cable to protect the environment. Newheek can provide quality inspection and maintenance protection for your 90KV high voltage cable to meet the needs of different customers.When repairing 90KV high voltage cable, you should pay attention to some matters to prevent further damage.